Our mission is to prepare and empower people with barriers to independence to be self-sufficient and contribute to their families and communities. We are a caring, person-centered not-for-profit organization that does a lot of good in the communities we serve. Our social enterprise model takes an innovative approach to create job opportunities for people with barriers to employment while generating revenue to support our mission programs and services. Headquartered in Rochester, NY Goodwill of the Finger Lakes along with The Association for the Blind and Visually Impaired (ABVI) and 2-1-1/LIFE LINE have a very long and successful history. We are a dynamic team comprised of over 700 individuals that use our passion and expertise to find innovative solutions to address pressing social needs. Each year we positively impact the lives of over 150,000 people. Our doors are always open to welcome anyone who needs our services or those who are curious to learn more about our purpose and impact. We love our volunteers and want your experience to be a fulfilling and rewarding one! 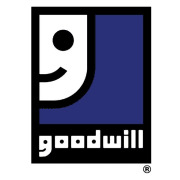 Would you recommend GOODWILL OF THE FINGER LAKES INC?